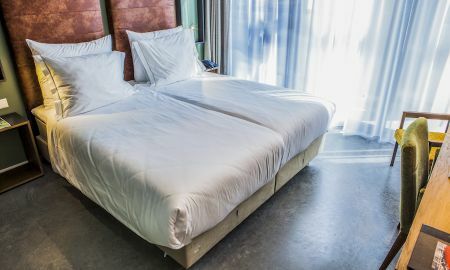 Hotel De Hallen is located in one of Amsterdam’s finest industrial heritage sites. The blue steel and rusty highlights of this former tram depot create an exciting exterior and emphasise the uniqueness of this historic hotel. 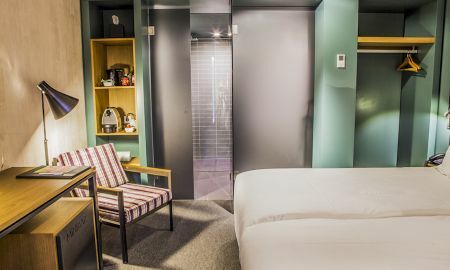 Inside Hotel De Hallen, guests can enjoy spacious surroundings with an abundance of plants, furnished with modern, designer pieces and decorated with a selection of contemporary art, all hand-picked by the owner. 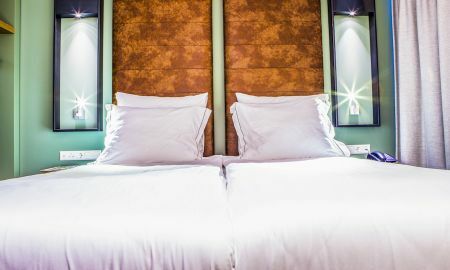 Rooms and suites are elegantly yet comfortably finished and fully-equipped. Guests have the freedom to sample delicious dishes from the kitchen at the bar, at hotel restaurant Remise47, in the lobby, at the outside café, or even in the Internet garden. Below the Internet garden, the hotel offers a meeting room equipped with the most modern technology to support any meeting. At Hotel De Hallen, quality of service comes first. 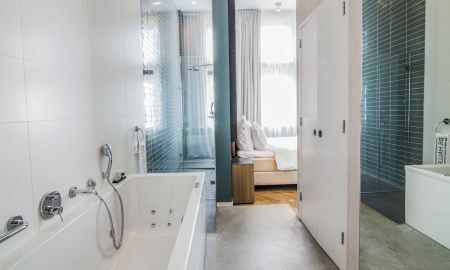 Hotel De Hallen is located in one of Amsterdam’s finest industrial heritage sites, just a short walk away from the beautiful Jordaan district, the fashion and museum districts, and breath-taking canals.